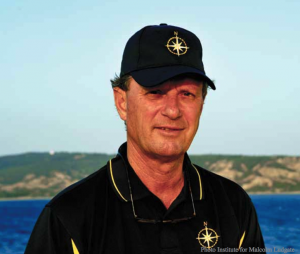 Robert Ballard, the founder of the Institute for Exploration in Mystic, Connecticut and the author of The Great Darkness: A Personal History of Deep-Sea Exploration. Photo courtesy of Sea Voices. From our earliest days to our more recent Star Trek TNG marathons, the mysterious realm of outer space has held us earthlings in its thrall. However, it is not necessary to board a spaceship in order to access an unknown world. To this day, the depths of the earth’s oceans remain just as enigmatic as any distant nebula. Robert Ballard captures this alien landscape in his book The Eternal Darkness: A Personal History of Deep-Sea Exploration. Ballard’s work does not fit any conventional definition of genre. It is at once a memoir, a history, and a call to action. 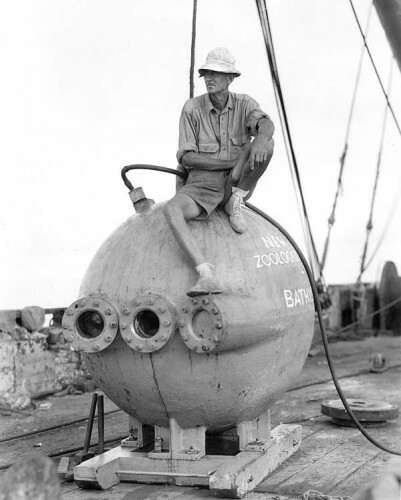 In it he describes the history of ocean exploration, beginning with the invention of the earliest diving craft. As he works his way through more recent endeavors, Ballard also includes his own adventures in the field, such as his personal accounts of mapping the Mid-Atlantic Ridge and retrieving an inactivated nuclear bomb off the coast of Spain, which are richly imbued in narrative form. Although much of his work reads like an adventure story, Ballard does include sobering reflections on the dangers inherent in ocean exploration. He challenges the reader to weigh the benefits of scientific advancement against its potential risks, calling for a paradigmatic shift in how we approach exploration. Despite brief moments when the text borders on being overly technical, the book is overall a fast-moving read. Ballard weaves his own journey, from boyhood daydreaming to his famous discovery of the Titanic wreckage, together with the stories of other intrepid pioneers, creating an intimate picture of our quest to understand the oceans.